In 1979, while in his third year of graduation at St. Aloysius College, Mangalore, VG Siddhartha did not nurture any dreams of becoming a billionaire. His goals were quite the opposite. “I was impressed by the philosophies of Karl Marx, and really thought I would become a communist leader,” says Siddhartha. 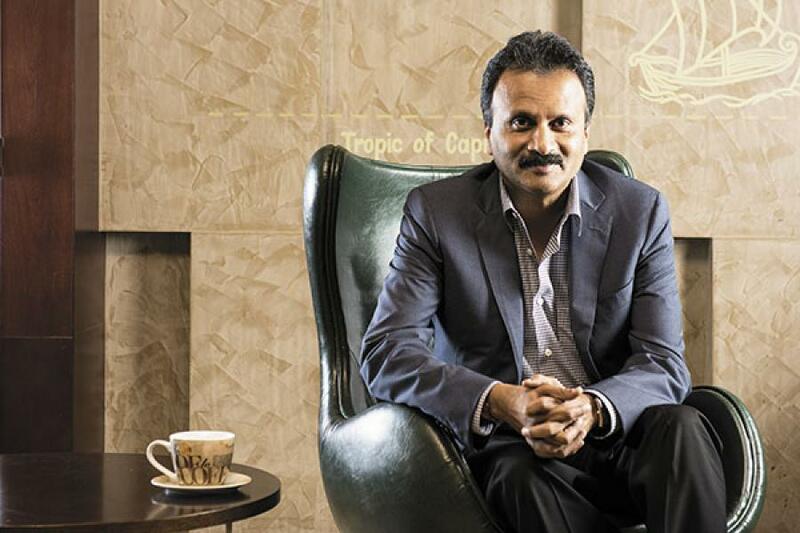 Almost four decades later, Siddhartha, 56, as chairman and managing director of Coffee Day Enterprises Limited (CDEL), has a professional career that is a far cry from the communist dreams he nurtured as a student in pre-liberalised India. In October this year, he took his diversified company CDEL—which runs India’s largest cafe chain, Café Coffee Day (CCD)—public. The listing saw the company garnering a valuation just north of $1 billion, but on November 2 when its shares made a debut on BSE, it ended the day at Rs 270.15 apiece, down 17.64 percent from its issue price of Rs 328. It’s early days yet for CDEL, and top global private equity (PE) investors including Kohlberg Kravis Roberts, Standard Chartered Private Equity and New Silk Route—that collectively invested $200 million in CDEL in 2010 for a 34 percent stake—are staying invested. Their faith in the promoter or the business hasn’t been shaken by the initial market performance, they say. And though analysts attribute the disappointing IPO to CDEL’s varied business interests, the investors consider them ‘balancers’, which would play out well in the long run. CDEL has business interests in sectors such as real estate (technology parks), logistics, financial services, hospitality and information technology (IT). As of FY14, its coffee business (which includes CCD, a coffee vending machine business, an export business and a chain of coffee retail stores, Fresh & Ground) reported revenues of Rs 1,143.5 crore, accounting for around 50 percent of CDEL’s total revenue. The group’s logistics business accounted for 36.9 percent of the revenue followed by financial services (7.53 percent) and technology parks (3.30 percent). Siddhartha’s path from an aspiring communist to a billionaire (with a personal net worth of $1.05 billion, according to Forbes) has had many twists and turns. Ashok Soota, who founded IT services company Mindtree in 1999 with a $2-million seed fund from Siddhartha, believes that his friend’s ideological evolution since 1979 has been “very sensible”. And while he may have embraced entrepreneurship, “as a human being, he is very unassuming and doesn’t seek publicity,” says Soota, who exited Mindtree four years ago to start another IT services venture. As of September 2015, CDEL and Siddhartha (in his personal capacity) have a 20 percent stake in Mindtree, a publicly listed company valued at approximately Rs 2,360 crore. The coffee baron’s shift in ideology can be traced to the fact that he did not agree with the way Marx’s teachings were being promulgated by various communist leaders across the world. Ideology, he tells Forbes India, had taken a back seat and given way to corruption, nepotism and dictatorship. He also quickly realised that India had little to offer a left-wing idealist such as himself. “India was so poor that there was no scope to become a Robin Hood. That’s when I realised that rather than being a wealth distributor, I should become a wealth creator,” says Siddhartha, who, at one point, had even aspired to enlist in the Indian Armed Forces. This dream, however, was cut short in 1976 when he failed to pass the National Defence Academy examination. Since then, much has changed for the Bengaluru-based first generation entrepreneur who enjoys strong political ties. He is the son-in-law of SM Krishna, India’s former external affairs minister who also served as chief minister of Karnataka from 1999 to 2004. Incidentally, it was under Krishna’s leadership as chief minister that Bengaluru witnessed a boom in the IT sector. And Siddhartha, like many other entrepreneurs, rode the IT wave indirectly, since the better-paying jobs improved spending power among the youth. Cafes seemed to be a good start. In 1996, when he was 37, he decided to enter the cafe business. With an initial investment of Rs 1.5 crore, he opened his first CCD outlet on July 11, 1996, at Brigade Road in Bengaluru. Today, the coffee chain is the market leader (by store count) with 1,538 cafes across 219 cities in India. It also has an international presence through stores in Austria, Czech Republic and Malaysia. The second largest player (by store count) is Barista Coffee with just around 165 cafes, while Tata Starbucks operates under a hundred outlets in the country. Unlike its competitors, that are mostly visible in the metros, CCD cafes are found in small towns and far-flung places like Leh. Adding to this unassailable dominance is the fact that CCD operates at price points—thanks to its backward-integrated supply chain of growing and producing coffee—which its competitors are yet to match. For example, a small cup of cappuccino at a CCD outlet in New Delhi costs Rs 79, while Barista offers the same product at Rs 90 and Starbucks at Rs 120, as per data published in CDEL’s Initial Public Offering (IPO) document. “To me, he is the Howard Schultz [the chairman and CEO of Starbucks] of India, with the possibility of doing a bigger and broader play in the toughest consumer markets of them all, India,” says brand expert Harish Bijoor, who first met the businessman in the late 1990s on a Jet Airways flight from Bengaluru to Mumbai. Siddhartha had by then opened nine CCD cafes in Bengaluru, and Bijoor, who was then the vice-president (marketing) at Tata Coffee Limited, was keenly tracking his moves. “Siddhartha is a wealth creator in the realm of brick-and-mortar retail,” he says. Notwithstanding this remarkable entrepreneurial story, CDEL’s initial share sale did not set fire to the imagination of the country’s small investors, who were looking to invest in an India consumption story. Café Coffee Day is perhaps only the second homegrown food and beverage company to go public, after restaurateur Anjan Chatterjee listed his company Speciality Restaurants Ltd in May 2012. Despite a sluggish economy, Speciality Restaurants’ IPO was oversubscribed 2.5 times. In comparison, CDEL’s IPO was oversubscribed just 1.81 times, garnering interest mainly from institutional investors. “There would have been more interest in the company if CDEL had to list just its coffee business. People wanted to buy a coffee consumer story and they weren’t interested in logistics, hospitality or financial services,” says Amarjeet Maurya, senior research analyst (mid-caps), Angel Broking. Of the total proceeds of Rs 1,150 crore from its IPO, a little over Rs 400 crore will be pumped into the company’s coffee business (the cafe and coffee vending machine businesses). About Rs 500 crore will be used to reduce CDEL’s debt of Rs 1,000 crore. For Kurian, cafes were the primary attraction when the PE firm invested in the company five years ago; its other businesses like logistics and real estate were seen as the ‘balancers’. What impresses him most about Siddhartha is his ability to scale, which is particularly rare in India’s food and beverage space. “People don’t even have 50 restaurants; he created over 1,500 outlets,” says Kurian. That’s because Siddhartha understands coffee and its consumption patterns across India. 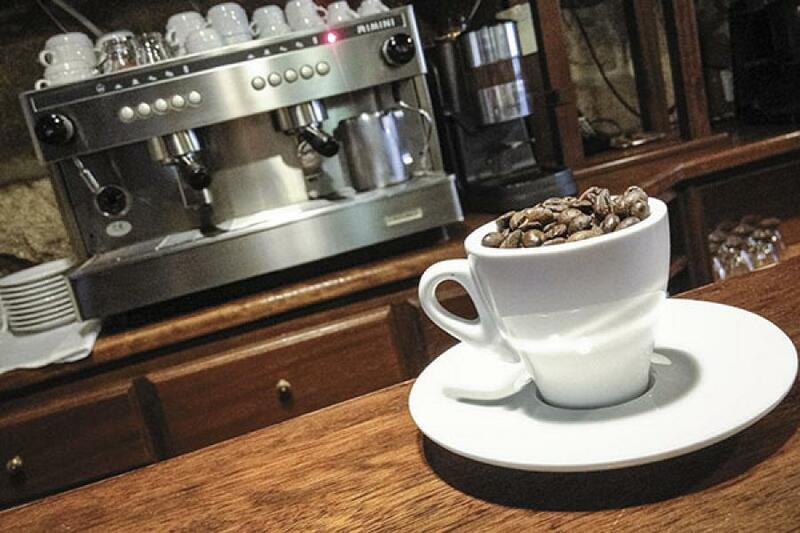 Coffee runs in Siddhartha’s veins; his paternal side of the family has been growing the bean since 1870. But in 1956, the family split, and Siddhartha’s father was given Rs 90,000 for his share in the business. With that money, his father bought a 479-acre coffee plantation in Chikmagalur, Karnataka, around 150 km from the family’s ancestral coffee plantation. The plantation was a success, but Siddhartha wasn’t willing to retire to his father’s coffee estate at the age of 21. In the early 1980s, he chanced upon an article on the stock markets in an Indian financial magazine. What caught his attention was the person who was profiled: Legendary stock broker, the late Mahendra Kampani of JM Securities Limited (which later got merged with JM Financial). After reading the article, Siddhartha had an uncanny intuition of where he had to be and what he had to do. And that intuition would pave the way for his future successes. In 1992, when he gave up trading, his exit was as dramatic as his entrance. That year, around 15 days prior to Harshad Mehta making the headlines for his involvement in a multi-million dollar stock market scam, he sold all his stock market investments. “It was written on the wall that something was going completely wrong,” says Siddhartha, who had bet on big blue-chip stocks like Infosys. But even as he was working his way in the stock market, he was thinking of returning to his roots: Coffee. At the back of his mind, he was constantly thinking about how coffee growers in India, like his family, could get better prices for their yield. Until 1991, coffee growers in the country were selling coffee at 35 cents per pound whereas the international price of coffee was $1.20 per pound. The economic liberalisation removed the stranglehold that the Coffee Board of India (a government body) had on the trade and allowed India’s coffee growers to sell their coffee directly in international markets. Almost overnight, Siddhartha, who had been acquiring plantations and production units, became the largest coffee exporter in the country. In March-April 1993, he sold 4,000 tonnes of coffee to international buyers at 80 cents per pound. In August that same year, he sold coffee at $2.5 per pound on account of a frost in Brazil, one of the world’s largest coffee producing countries. He then started retailing coffee through a chain of stores under the brand Fresh & Ground, and finally extended his coffee business to cafes. At present, CDEL also operates 424 Fresh & Ground outlets across seven states in India. As an entrepreneur, Siddhartha saw an opportunity in coffee retail well ahead of his peers. The next logical step was to start a coffee chain. When he launched CCD in 1996, Siddhartha decided to replicate a Singapore beer pub experience in Bengaluru. While all things remained the same, including providing for internet connectivity, he simply replaced beer with coffee. His first outlet in Bengaluru was a 2,000 square feet space, which served coffee at about Rs 25 per cup and allowed customers to access internet through 17-inch IBM computers. The Rs 1.5-crore investment was a pittance for Siddhartha whose coffee export business was making profits in multiples of tens of crores of rupees. “I wanted to sell coffee in style,” says Siddhartha. At the time, CCD’s prices were five times more expensive than a cup of filter coffee available at a local store. 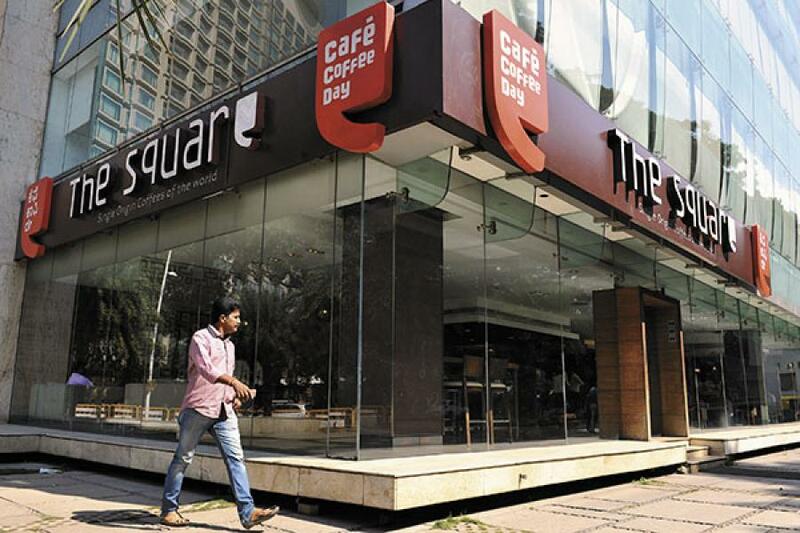 By 2001, CCD had expanded to around 18 outlets in Bengaluru and according to the cafe chain’s former chief executive officer, Naresh Malhotra, all the outlets were making losses. Malhotra, who spearheaded CCD’s operations for six years from 2001 to 2007, remembers how Siddhartha gave him a free rein to grow the business. Rival Barista had established itself as the dominant cafe player by 2001. “Barista was targeting people who were above 25 years, while Siddhartha was of the opinion that we catch the younger people (15 years and above). His view was to catch them young and grow the cafe business with them so that they look at it as an extension of their living room,” says Malhotra. That’s pretty much how the script has played out over the last two decades. As it expanded, CCD moved away from its initial concept of being an internet cafe, and focussed on its coffee and food menu. In Bengaluru, home to more than 1,500 startups, CCD—with 200 outlets—became the default gathering ground where promoters met with angel investors for their first round of funding. Angel investor and chairman of Manipal Global Education Mohandas Pai meets with startups at least twice or thrice a week at CCD The Square, the cafe chain’s flagship outlet located on the ground floor of CDEL’s head office in Vittal Mallya Road, Bengaluru. “So far, sitting at CCD Square, my venture fund Aarin Capital has made 10 to 12 investments in startups,” says Pai. As CCD’s tagline sums it up, ‘A lot can happen over coffee’. At present, the chain operates in three distinct market segments with three separate brand offerings —CCD, CCD Lounge, and CCD The Square—to take on competition at all levels. While the upscale CCD Lounge format serves exotic coffees, teas, and offers a menu of international cuisines, CCD The Square formats serve specialty coffee and offers customers a fine dining experience. There are also 590 Coffee Day Xpress kiosks that are operational across India. According to CCD’s incumbent CEO Venu Madhav, the company plans to open 135 cafes every year. While there is no imminent threat from competition, Arvind Singhal, chairman and managing director of retail consultancy firm Technopak, feels that scale alone will be CCD’s biggest challenge. In the broader food and beverage industry, the biggest challenge faced by entrepreneurs is to maintain consistency of product and customer experience. “CCD will also need to be a bit more innovative, both in terms of its beverage and non-beverage options. When you look to grow to beyond 2,000 outlets the role of operations and product mix becomes even more critical than it is today,” says Singhal. Siddhartha, too, believes that there is a lot to be done. “I’m only 70 percent happy with what I have achieved in respect to cafe retail,” he says. However, he does emphatically state that 10 years down the line he wants to be a “decent player” in the global market—CCD has plans of expanding its reach in West Asia and Southeast Asia. Unlike in India where the company operates its own outlets, the international rollout will be done through the franchise route. Siddhartha’s journey has been one of single-minded dedication and focus on the coffee space. But he likes to mix it up by dabbling in other ventures. For one, he owns around 4 million square feet of office space in Bengaluru, which fetches him around Rs 120 crore in annual rental income. And there is scope for him to build an additional 6 million square feet of office space. “Any fool can make money from real estate. I don’t get stimulated by making money from dumb businesses. I want to make money from difficult businesses,” he says. There are two kinds of people: Those who watch things happen from the sidelines and those who make things happen. Siddhartha, from all accounts, falls into the latter category. India's youth: Demographic dividend or disaster?